VietPress USA (Feb. 15, 2018): Today on Feb. 15, AP announces that Steve Bannon, the combative former chief strategist for President Donald Trump, was interrogated for 20 hours over two days this week as part of special counsel Robert Mueller's Russia investigation, according to a person familiar with the process. While the exact questions for Bannon are unknown, Mueller is investigating whether there was any coordination between Trump's campaign and Russians who meddled in the 2016 election, and also whether there have been any efforts to obstruct the ongoing FBI probe into those contacts. The House panel is investigating the meddling and whether Trump's campaign was involved. Special prosecutor Robert Mueller’s investigation into President Donald Trump’s campaign and its potential Russian ties has now entered its 10th month. 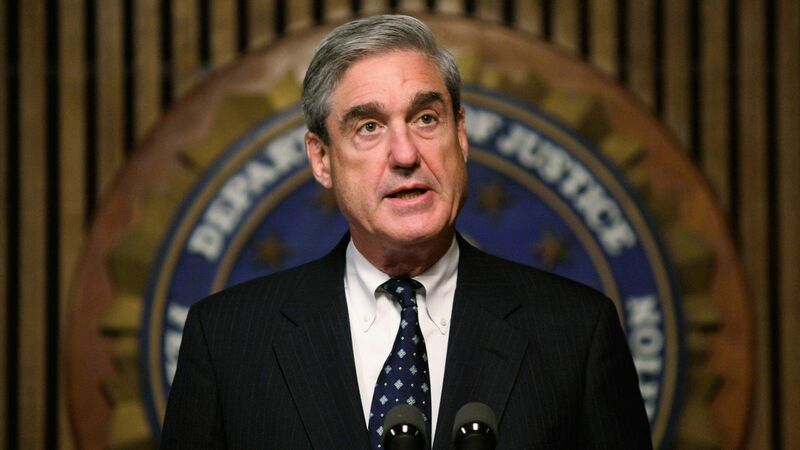 While millions around the world are waiting eagerly for the next shoe to drop, it’s possible that the information Mueller uncovers may never actually reach the public. Since Attorney General Jeff Sessions recused himself from the Russia inquiry in March 2017, Mueller’s investigation has been overseen by Deputy Attorney General Rod Rosenstein, who retains the power to fire the special prosecutor. However, Trump has reportedly expressedhis dissatisfaction with Rosenstein, prompting concerns that his job — and Mueller’s, by extension — could be at risk. Trump’s alleged consideration of terminating Rosenstein, or Mueller, has sparked outcry both in and out of Washington. Advocacy groups have started campaigns to protect Mueller, and Congress has introduced several pieces of legislation aimed at protecting special prosecutors from the whims of Trump or future presidents. However, even if Mueller keeps his job, there’s a chance that those eagerly awaiting the results of his investigation may ultimately be disappointed. Thanks to the expiration of a statute that gave independence to past special prosecutors, there’s no guarantee that Rosenstein — or his hypothetical replacement — will let Mueller’s final findings see the light of day. From 1978 to 1999, special prosecutors were governed in accordance with the 1978 Ethics in Government Act, which established provisions that governed how special prosecutors operated and were appointed. The law was created after the Watergate scandal, in which President Richard Nixon was able to exercise control over the prosecutor appointed to investigate him. During the Saturday Night Massacre, Nixon went through several attorneys general until he was able to successfully order the firing of special prosecutor Archibald Cox, sparking a wave of public outcry. The act gave a greater degree of autonomy and independence to special prosecutors, rather than allowing them to be directly controlled by appointees of a president, who they could be investigating. After the 1978 Ethics in Government Act, special prosecutors were then appointed by a three-judge panel, and given “all the investigative and prosecutorial functions and powers of the Department [of Justice],” according to a summary of the statute published by the U.S. Congress. Special prosecutors, under the statute, also had the power to report their findings to Congress and the public. In 1994, the law was amended to require the special prosecutor to report their progress to Congress on a yearly basis. The final major investigation to take place under the Ethics in Government Act provisions was special prosecutor Kenneth Starr’s “Whitewater” investigation into former president Bill Clinton, which ultimately led him to draft an impeachment referral to the House. “If politicization and the loss of public confidence are inevitable, then we should leave the full responsibility where our laws and traditions place it, on the attorney general,” Starr said. As a result, the current regulations governing special prosecutors give much of the power back to the attorney general — or deputy attorney general, in Rosenstein’s case. The Congressional Research Service noted in 2013 that the current regulations have, “by express design, less ‘independence’ from the attorney general and the Department of Justice than did the ‘independent counsels’” under the 1978 act. That lack of independence extends to what happens with the prosecutor’s ultimate findings. Under the current regulations, the special counsel is required to report findings directly to the attorney general. He or she must provide an update on the investigation’s status 90 days before the start of each fiscal year, and a “confidential report” at the conclusion of their work. What happens with the findings from there, however, is in the attorney general’s hands. He or she is required to notify ranking members of the House and Senate Judiciary Committees when the investigation has concluded, and is only required by law to provide a description and explanation of instances in which he or she believed the special counsel was “inappropriate or unwarranted” under established departmental practices. The attorney general, however, is not required to make the prosecutor’s findings public, but must decide if the reports would be in the public interest. The current regulations mean that Rosenstein — or his Trump-appointed replacement — could simply decide that Mueller’s findings are not in the public interest, bringing an anticlimactic conclusion to the highly-publicized investigation. Traditionally, criminal investigations that don’t result in an indictment remain confidential. Though Congress could subpoena the Justice Department for the report, the White House could then invoke executive privilege, perhaps throwing the matter to the courts, Ross Garber, who co-chairs the Government Investigations Department at law firm Shipman & Goodwin LLP speculated in the Los Angeles Times. If Trump fires Rosenstein, the president could replace him with an appointee willing to do Trump’s bidding by keeping Mueller’s findings private. Yet even Rosenstein’s willingness to disclose the information is unclear, as he’s shown a distaste for public disclosure when he believes it to be unnecessary. In May 2017, Rosenstein criticized former FBI Director James Comey’s public comments on the investigation into Hillary Clinton’s use of a private email server in a memo that recommended Comey’s dismissal.